"The well-known adage 'climate is what you expect and weather is what you get' clarifies the difference between the climate and weather. Climate information services prepare users for the weather they will actually experience. Climate services provide climate information in a way that assists decision making by individuals and organizations. Such services require appropriate engagement along with an effective access mechanism and must respond to user needs." The Bangladesh Academy for Climate Services (BACS), part of the Gobeshona network, was founded in 2018 by the International Centre for Climate Change & Development (ICCCAD) at Independent University, Bangladesh (IUB); International Research Institute for Climate and Society (IRI) at Columbia University; the International Maize and Wheat Improvement Center (CIMMYT); and the Bangladesh Meteorological Department (BMD). BACS is focused on transformational educational change in climate science, and convening stakeholders for trans-sectoral dialogue of climate services to meet the needs of decision makers across sectors in Bangladesh. Create graduate level curricula to train a new generation of weather, climate and sector experts with the skills needed to face the uncertainties of the coming decades. 1st Training Course on "Introduction to Climate Services" from 21st October to 25th October 2018 at Bangladesh Meteorological Department (BMD) To apply for the short course please download the application form here. The LHE was held at the Planning Commission and was attended by participants from Planning Commission, various Ministries, Government Departments and universities. The objectives was to introduce the Bangladesh Academy for Climate Services to the Planning Commission and to the relevant ministries; discuss on the best possible way to utilize BACS to support the achievements of Bangladesh objectives and explore how BACS can help address climate challenges faced by different government agencies. The Bangladesh Academy for Climate Services (BACS) has been formally launched at the Bangladesh Meteorological Department (BMD) Auditorium, Dhaka on August 5, 2018. The Academy will respond to the need for a transsectoral dialogue on the use and understanding of weather and climate information in Bangladesh. This will be achieved by facilitating transsectoral and multi-stakeholder dialogue on climate services, developing tailored certification short courses and creating graduate level curricula to train the new generation of weather, climate and sector experts. The launch event was also the occasion to raise awareness and present the objectives of the Bangladesh Academy for Climate Services, as well as to serve as a networking opportunity for various stakeholders involved in the generation, translation, dissemination and use of weather and climate information and interested in BACS. Climate services are the connecting link between climate scientists and the society. They help in the translation of scientific climate information and make sure that the users understand the weather they are going to experience in a more simplified way at the most convenient time. Moreover, climate and weather information assists various decision makers in evaluating and developing the best adaptation strategies. • To work towards creating a platform for convening climate information to the users from the climate producers. 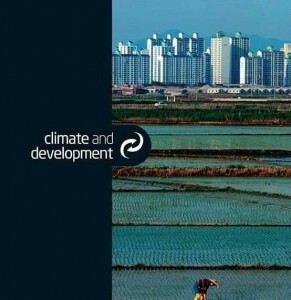 • To identify how weather and climate variability impede the users’ ability to achieve organizational successes, and map the challenges and needs for a better access, integration and use of climate information and climate services in different sectors. • To further explore the needs and demands for capacity building and educational training to aid climate informed decision making in Bangladesh. The workshop organized as part of the Bangladesh Academy for Climate Services (BACS), was attended by experts from various national and international organization, NGO’s and the Ministry of planning, to further understand the need and the use for climate and weather information in the Rohingya camps for a better preparedness for the monsoon period as well as future potential natural hazards.The goal of the workshop was to co-develop actions and best practices for using climate and weather information to decrease risk of disaster impact in the refugee camps. This was achieved by stimulating discussion among the different decision makers and the climate and weather information providers to find synergies between the needed information and those already available and their potential use in the camps activities.